We are the Team of 200+ professionals aimed to make the world safer! 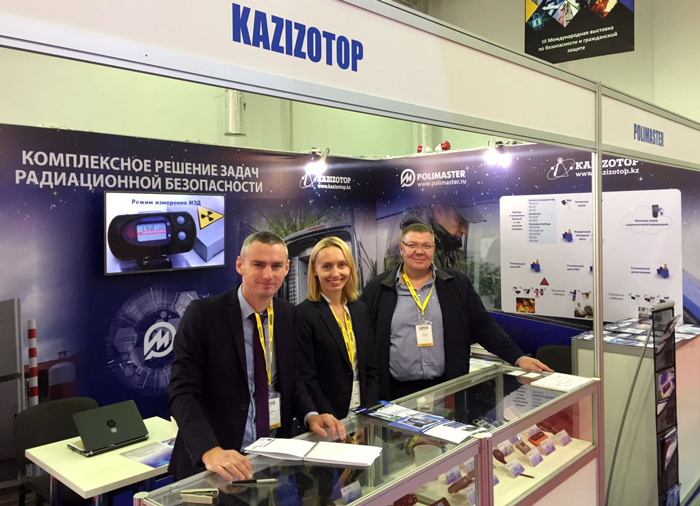 Our company employs highly qualified, talented and motivated professionals with wide-ranging experience in science, research and development, engineering, and manufacturing of radiation measuring instruments. Polimaster main line of business is designing and manufacturing professional equipment for radiation detection, monitoring and control. The strong technical basis combined with cutting-edge technologies turn into unique technical solutions and world-class products. Our aims are to create progressive technology to provide prompt and precise radiation detection, reduce radiological terrorism threat and to ensure safety of people everywhere. This mission gives us impetus and stamina to develop innovative products that can help millions of people around the world! 8 manufacturing, service and marketing companies in Belarus, Lithuania, Japan and the USA. Wide distribution network all over the world. Instruments are sold in more than 75 countries. The network of service centers. The company was founded in 1992 by Mr. Alexander Antonovsky, who was talented and enthusiastic inventor. Due to him, Polimaster made a revolutionary breakthrough in the field of radiation detection technologies. Since then we have the long history and many achievements to be proud of. The company started with only 15 devoted workers. The experience in radiation protection field the first employees brought to the Company laid solid foundation for today’s success. 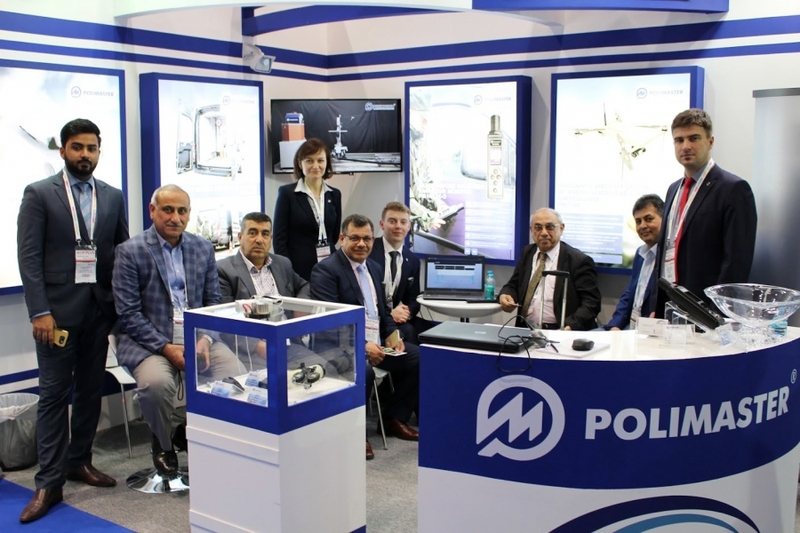 Since then Polimaster has been successfully working for the benefit of people and the environment, designing and producing instruments capable of detecting, locating, monitoring and controlling radiation sources. Innovative Thinking - a modern, creative approach, attention to ever changing customer needs is our formula to success. The result is sophisticated, innovative products that keep us in the leading position in the industry. Excellence - we constantly strive to improve our products and services. We pay careful attention to every little detail in the attempt to satisfy our customers and assist them in the challenge of protecting people’s well-being and life. Attain the impossible - in problems we find new opportunities. We learn not only from our accomplishments but also from our mistakes. We transform technology in the attempt to create a product capable of warning against radiological threat accurately and quickly anywhere in the world. Our equipment quality is supported by numerous certificates issued by international organizations and scientific research centers in the United States, Russia and Europe. Polimaster quality system meets ISO 9001 standards, and the company holds appropriate national and international certifications in countries and regions in which we operate, including ANSI (USA), GOST (Russia) and ITRAP (IAEA) program. 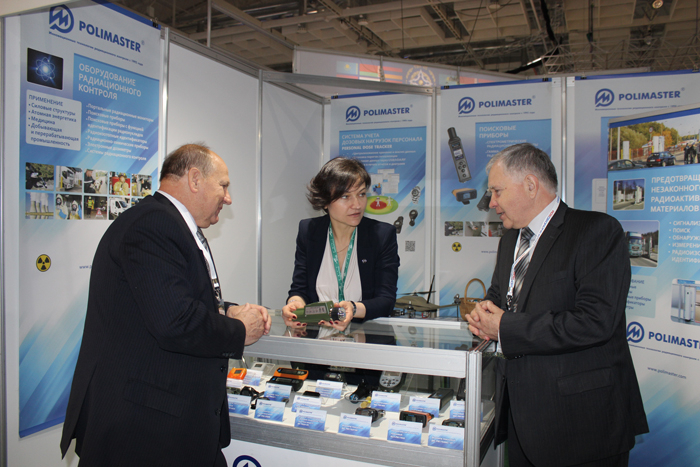 Since 1997 Polimaster has been a member of European Nuclear Society. ENS is the largest society of nuclear science, research and industry in Europe. Everyday thousands of industry professionals use our instruments to protect the environment, individuals and whole nations from the harmful effects of radiation. Amongst users of our equipment are Customs and Border control Services, police, security agencies, military, first responders and firefighters, nuclear power plants, transport and logistics companies, health care providers. Polimaster equipment is used by companies and government agencies involved in nuclear fuel processing, power production, research and waste management throughout the world, helping to achieve consistency in health physics and nuclear measurement equipment, procedures and operations. You can find our equipment anywhere, where people are concerned about reducing radiation and nuclear risks. In response to the Chernobyl accident in 1986, first personal electronic pocket-sized dosimeter was designed by Alexander Antonovsky. "Master-1" was much smaller than any other direct reading dosimeter available on the market at that time. Over 1 mln. dosimeters were sold back then. From 1992 Master-1 was produced under Polimaster brand. Polimaster was founded in 1992 by talented and enthusiastic inventor Mr. Alexander Antonovsky and his several supporters. The company was comprised of 15 passionate about radiation detection workers. Mr. Antonovsky`s experience and deep knowledge in radiation protection became the lifeblood of business success. Since 1999, Ms. Ludmila Antonovskaya is a majority shareholder and SEO of Polimaster Holdings. The first developed wristwatch dosimeter. PM1204 is a predecessor of popular PM1208M wrist gamma indicator - which is the only commercially available instrument. Pager-type instrument for search of radioactive materials was designed in accordance with customers specifications and was used by Customs and Border guards for the prevention of illicit trafficking of radioactive materials in many countries. This device has been proved very reliable over the years. Polimaster equipment finished ITRAP tests under IAEA and received certificates for 5 group of products. Polimaster RPMs were recognized as the best performance. The smallest radionuclide identification device was a result of combining smartphone and radiation detection technology. The idea of access to the remote expert support system using the Internet was introduced to the world. PM2010 is a portable gamma dosimeter with built-in chemical agent detector with high sensitivity usually found in stationary or significantly larger portable detectors. PM2010 is the smallest and lightweight (550g) combined radiation and chemical detector available today. NPNET® is geo information network system for radiation monitoring of buildings, city blocks or large country regions covered by the number of fixed and mobile radiation detectors. It provides real time data exchange between users and a remote Unified Command Center or Expert Group. Polimaster won the largest tender for ILEAS (USA). Within the contract Polimaster produced and supplied 22 000 of personal radiation detectors. Polimaster gained several tenders for supply Personal Radiation Detectors for different countries within the SLD program. Polimaster developed PM1704 - instrument of a new class of multipurpose, highly sensitive and compact gamma and gamma-neutron spectroscopic personal radiation detectors. New Series had advanced search algorithm and provided quick radionuclide identification of radioactive sources. Polimaster won several tenders of the European Commission for supply of radiation detection instruments for different countries. Polimaster designed and presented new unique Radiation Measurement System for Fukushima, Japan. PM5300 was designed at the request, simple and high sensitive, intended for measuring level of radiation in flexible container bags. New equipment allows to measure radiation level bags and afterwards distribute samples according to the level of contamination. Polimaster became the supplier of more than 1400 personal radiation detectors PM1703MO-1 BT within the US Critical Infrastructure Security program. 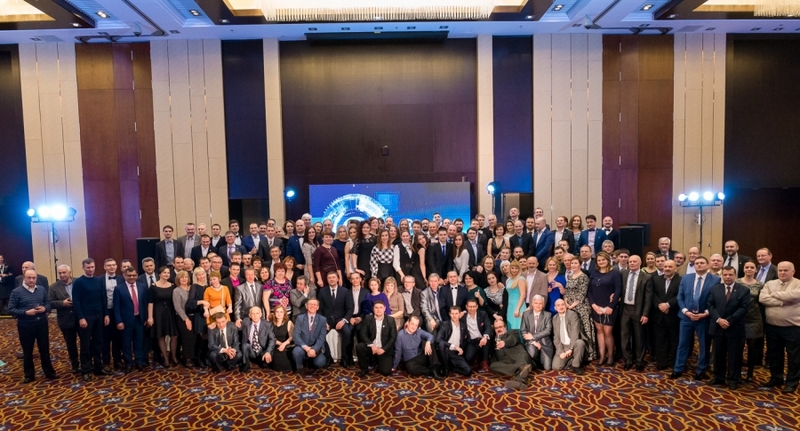 Polimaster is recognized the best exporter of 2015! Polimaster was recognized the best exporter of 2015 in the competition, which is held by the Belarusian Chamber of Commerce and Industry. 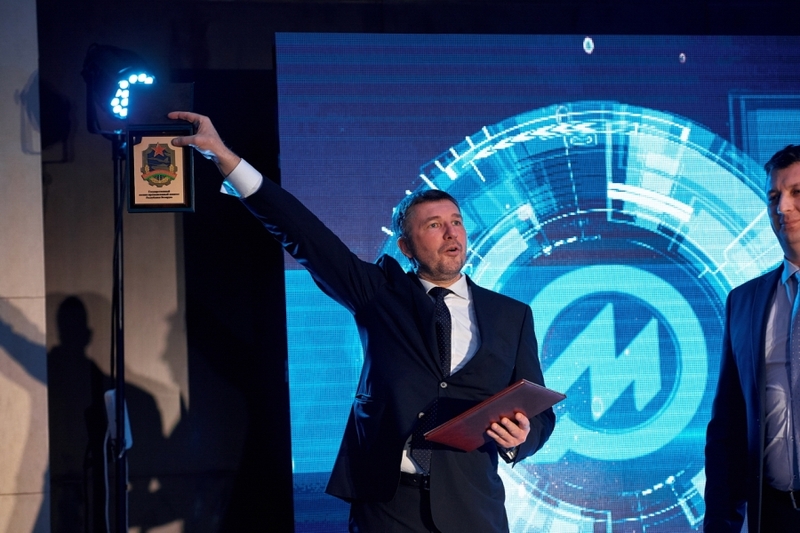 Polimaster won in award for “electronics and instrument building industries”. 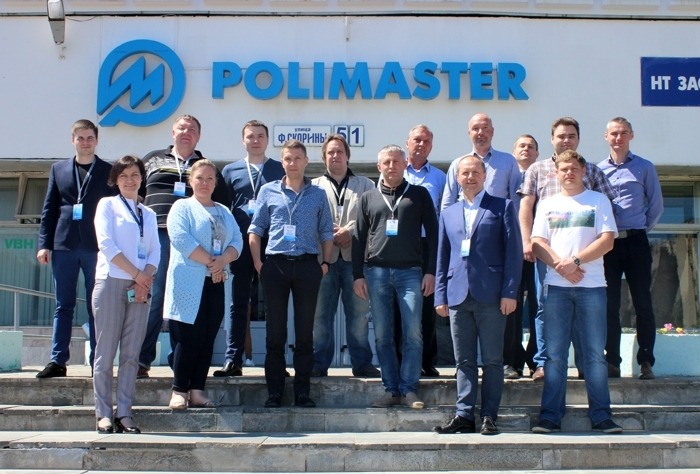 Polimaster together with four other strong instrument-building companies established an Association, which joins instrument-building companies in the Republic of Belarus and aims to increase the efficiency of its members and the industry as a whole.